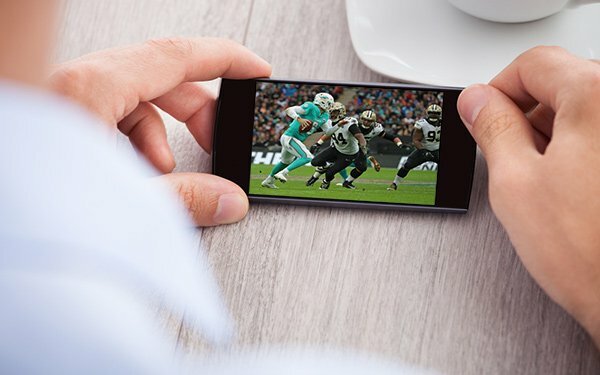 With the NFL season now underway, and with more options for streaming those games online and via mobile devices, analysts are again asking: Will consumers continue shifting their sports viewership to streaming devices? Or will pay-TV maintain its vise-like grip on sports viewing? New data from the business support and software services firm CSG International shows that while pay-TV remains dominant for sports, younger consumers increasingly turn to streaming and mobile devices. That suggests a future in which sports viewership may be splintered across many devices and platforms. CSG found that 71% watch live sports through a cable subscription, with streaming video accounts for 18% of viewership and mobile 11% of viewership. “Streaming adoption is being driven largely by millennials and Gen Z who are ‘mobile first’ in their approach to all forms of content,” Kent Steffen, president of digital and over-the-top services for CSG tells Digital News Daily. Even for fans that watch through cable TV, however, mobile is increasingly becoming a key part of the sports picture. The live nature of the games means viewers turn to social media and their mobile devices to follow conversations around the game, or to check on fantasy scores. CSG found that 27% of consumers use Facebook while watching live sports, while 37% use mobile devices to search for relevant stats during games, and 42% use their mobile devices to track other games that are happening at the same time. That presents a unique opportunity for marketers, broadcasters or sports leagues. “A key finding of this study is how much second- and third-screen content consumption is happening around sports,” Steffen says. “Consumers are checking scores and stats on social media, as well as interacting with other fans around game time and looking for in-depth stats and stories about specific players. When it comes to advertising, CSG found that intrusive ads are seen as a nuisance, with 25% of millennials and 20% of all consumers saying they would pay a premium for an option with less-intrusive ads. “They are quicker than other generations to dismiss overt marketing and are more interested in digital personalities and influencers they follow, than what specific brands may be touting,” Steffen says. “Perhaps growing up with ad-free streaming has had its influence on an intolerance for traditional advertising. Perhaps the content of the ads have the power to overcome that attitude.